Love this kind of history. Going on the list right now! And... ordered from the local library! Michael ... I have that book too! Excellent Reading Material. The most entertaining historical fiction I've found recently is a Canadian TV series called Murdoch Mysteries. On some cable channels in the US it's been retitled The Artful Detective. Featuring a scientifically-minded Toronto detective, the series starts in 1895 and proceeds in real time, one year per season. Murdoch is up on all the latest scientific advances of his time, using them to solve cases that bewilder his gruff, old-fashioned boss. In the course of the series, almost every famous person of that era has managed to visit Toronto and get involved in a murder investigation. The series manages to combine historical verisimilitude, a genuine mystery, romance and lots and lots of laughs. It's the most pure fun TV series I can think of. Rob Allen - I watched the Artful Detective with friend of mine occasionally and it's a treat to watch it and it's a very stylish and has great costumes and has a charm of its own. 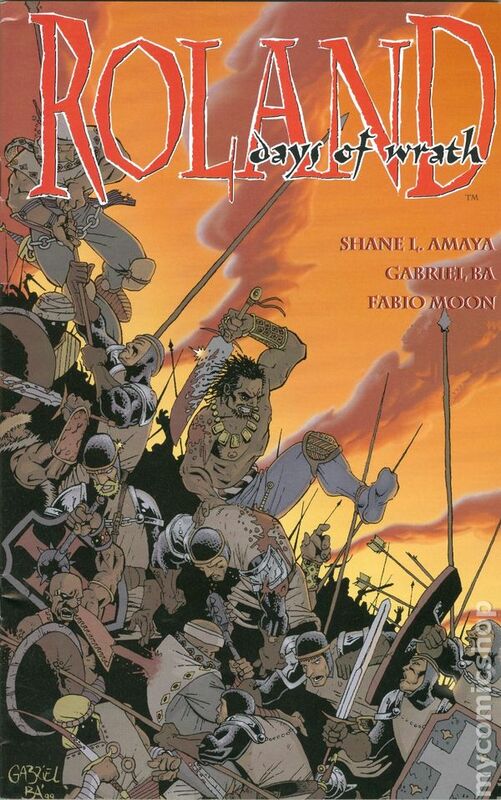 I'll check it out, but only if it has an entry on the Hyborian Age. 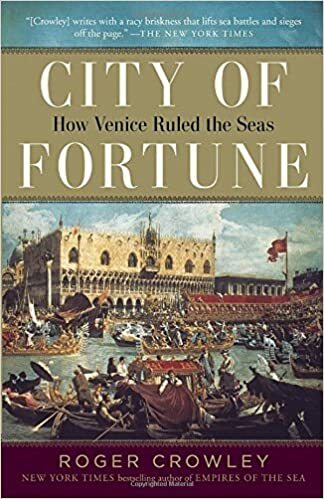 Finally was able to start City of Fortune: How Venice Ruled the Seas by Roger Crowley. Wasn't able to get super far in because there really just never seems to be time to read. 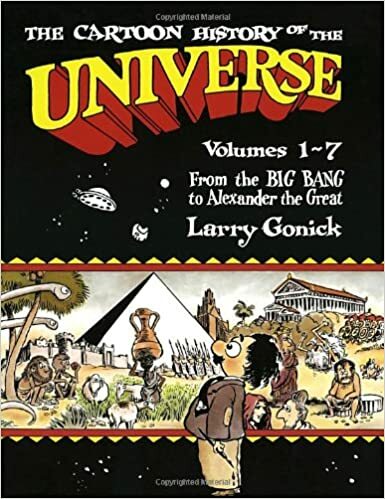 The book starts at roughly 1000 A.D. after the thalassocracy was under way, but before the height of its power. There is a look at the general geography of the city-state...it's position at the beginning of the Adriatic with its access to the Po River putting it in great position to exploit trade coming to Central Europe from Constantinople, Alexandria and all points east. The unique geography of Venice with its linked island, marshy land and its lagoon and barrier islands pointed to a people who would be inextricably pointed toward and connected to the sea. At this point in the book we can see the seeds of Venetian dominance of the Adriatic as Doge Pietro II Orseolo has defeated the Croat pirates and taken the title of Duke of the Dalmatians. This also led to the annual Feast of the Ascension which would bless the waters of the Adriatic to ensure the success of Venetian sailors and trade. I'm looking forward to this one. My knowledge of Venetian history is pretty spotty. I am familiar with the Fourth Crusade and some of the intrigue between Venice and the Ottomans in the mid-15th Century. 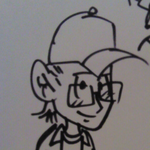 But other than that it's a fairly blank slate. 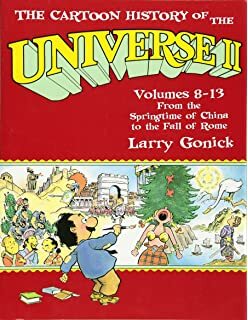 It is an excellent book and you'll have great enjoyment reading it. I have a copy of it and read it 2-3 times already! I too love reading about history and have done since I was a teenager at Secondary School. In particular, the 19th and 20th century history of Britain and America really fascinates me. I think part of the reason why this era has such a hold on me is because the late 19th and early 20th century are tantalisingly close, insofar as I know or knew people who lived during that time, even though I was as yet unborn. Also, there's a fair bit of the 19th and early 20th century world still visible around us today -- more so than, say, the 16th century anyway. That, for me, makes the period seem more "real" or "tangible", and therefore more fascinating than, say, the Tudor period or the Dark Ages, although those periods do still interest me to a degree. 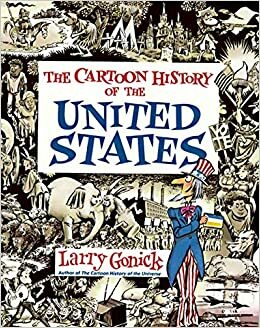 Anything post-1975 is fascinating to me because I can remember it or remember what the the world was like back then, but it's the 100 years before I was born that really, really fires my interest. 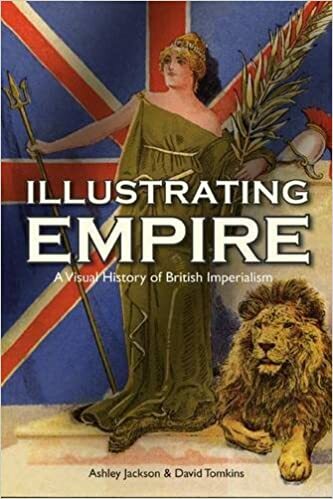 I'm currently dipping in and out of Illustrating Empire: A Visual History of British Imperialism by Asley Jackson and David Tomkins, which is a fascinating look at the British Empire, as viewed through the prism of pro-colonial ephemera. I bought the above book because I had loved Jackson's earlier Mad Dogs and Englishmen: A Grand Tour of the British Empire at its Height, which is a fascinating and brilliantly written history of the Empire from its apex, when its boundaries ensured that 'The Sun Never Set on the British Empire', to its eventual demise in the mid-to-late-20th century. This earlier book, in particular, is highly recommended if you have any interest at all in the subject. 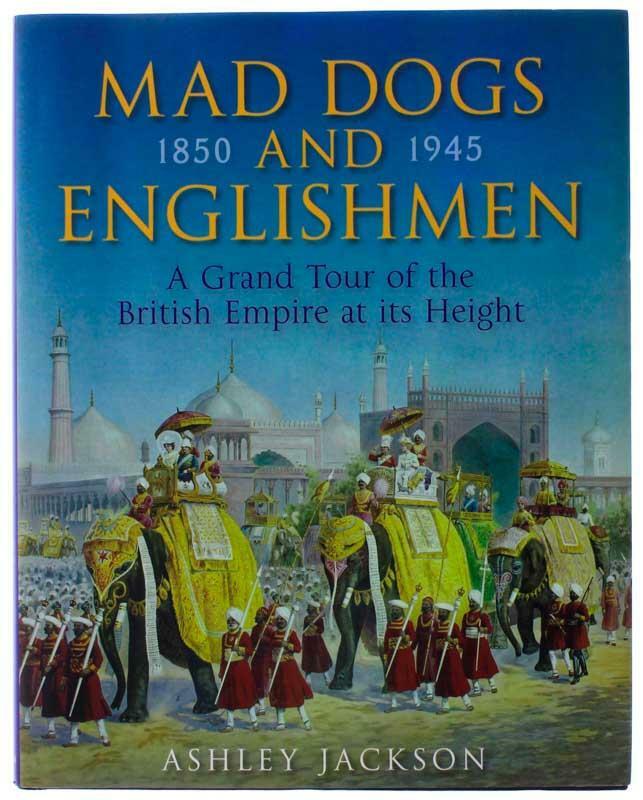 You can preview Mad Dogs and Englishmen: A Grand Tour of the British Empire at its Height over at amazon.co.uk, here. I got a chance to read this during the week... great style, and a decently informative story, but not a topic I was super interested in. Still, I love the concept, and I hope to see more of such things in the future. Speaking of historical comics: I highly recommend Dark Horse's Rebels written by Brian Wood. Set during our nations Revolutionary War time it details specific stories and moments in wonderful way. Incredible art from the team of Andrea Mutti and Jordi Bellaire's colors (and others) provides both compelling drama and characters which teaches and entertains all at the same time. There are 2 TPB's out and worth every cent invested for something other than than superheroes! Speaking of historical comics...I recently read The Death of Stalin by Fabien Nury and Thierry Robin. Interesting look at the maneuvering for power within the Kremlin following the death of Stalin. Obviously a mix of fact and fiction as the conversations between the characters weren't recorded. But overall it seems to be pretty accurate in portraying both events and the personalities of those involved. Well recommended. And I'm looking forward to seeing the film that was based on this work. 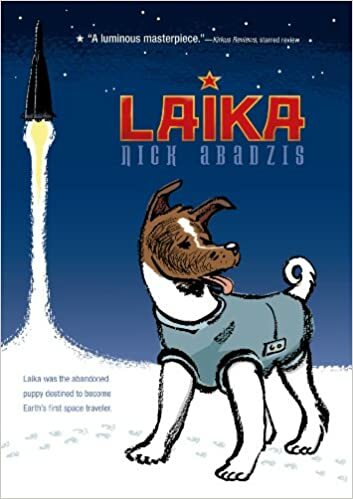 If we're talking historical graphic novels, Laika has long been one of my favourites. 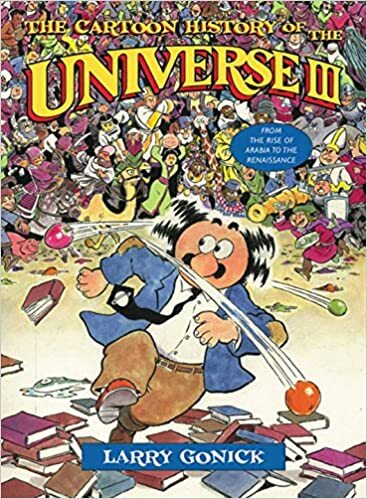 It seems to stick pretty close to the facts, albeit with some fictionalised dialogue, of course. It really is an excellent and very moving book. both offering insights into the War in Bosnia. You can add just about anything by Joe Sacco to the list.